Are you tired of all things Black Panther yet? Of course not. Even though the movie broke records opening weekend and former first lady Michelle Obama is singing its praises, it seems like every day we’re learning amazing new details about the Marvel movie. For instance, did you know King T’Chaka is played by a real-life father and son? And Black Panther is already generating Oscar buzz, reportedly due to its beautiful costumes. The ornate attire of the fictitious country of Wakanda emulates the rich and elaborate attire of actual African nations. But if there’s one character many people seem to be on the fence about, it’s villain Erik Killmonger, who is played by Michael B. Jordan. While we still don’t know who Killmonger’s mother is, we know a little bit about his backstory and claim to the Wakandan throne. One thing we know for sure is that a lot went into Jordan’s look, particularly his hair, in order to transform him into the villainous character. 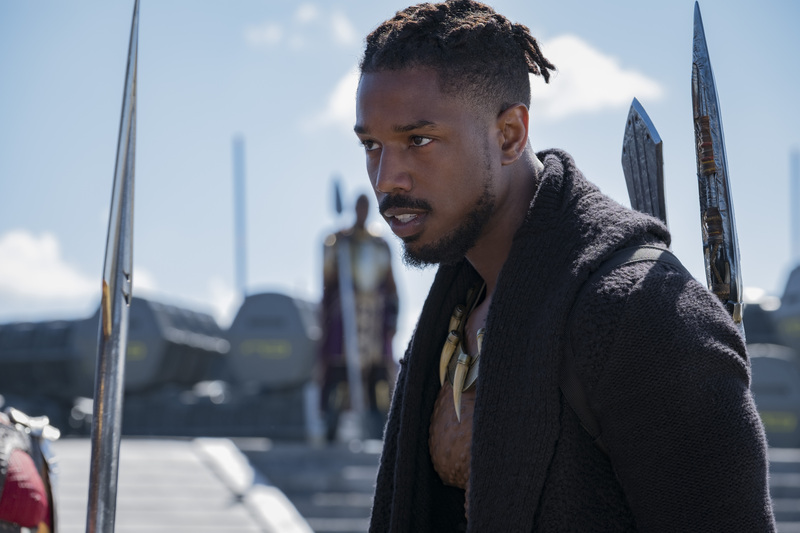 According to The Huffington Post, the actor grew his hair out for months to play the Marvel villain, but the film’s depiction of Killmonger’s hair is slightly different than the comic version. And we know exactly why. 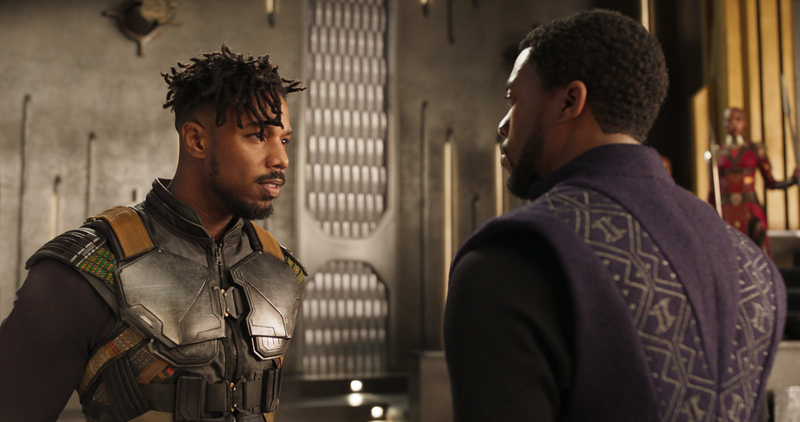 While Jordan grew his hair a few inches, it’s nowhere near as long as Killmonger’s ‘do in the comic books. "We wanted to give him his own fresh look, and Michael really wanted to do something special." Killmonger is essentially an outsider from the world of Wakanda and envisions the Wakandan way as one that needs to be turned on its head. So it makes sense to have Jordan’s hairstyle stand out from the rest with his shorter, nouveau ‘locs and shaved sides. When we’re first introduced to the character, his hair is in a super modern updo. But throughout the movie, we also see his ‘locs pinned back or forward when he’s in fight mode. 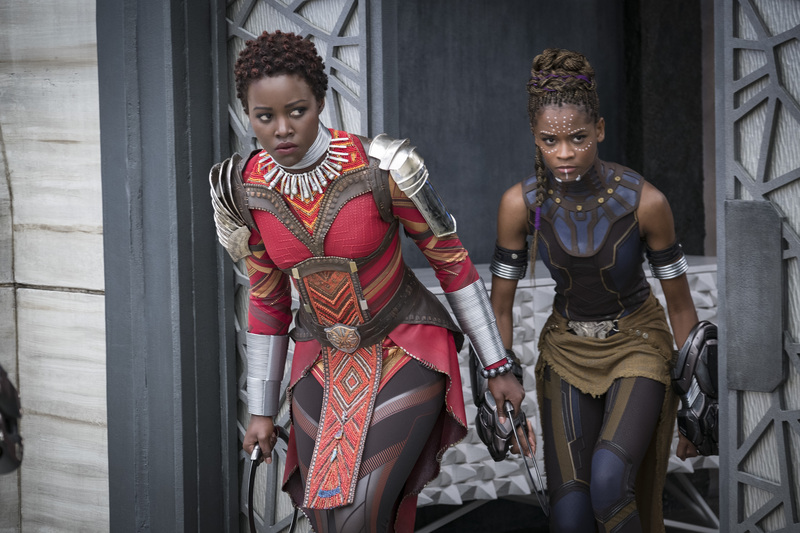 And while the warriors of the Dora Milaje still had their fierce bald heads, Nakia (played by Lupita Nyong’o) and Princess Shuri (played by Letitia Wright) looked a bit different, too, compared to the comics. Friend told The Cut she wanted to show the beauty and versatility of natural hair. So instead of having Nakia’s long straight hair like in the comic books, we see her on the screen with beautiful Bantu-adjacent knots. And Shuri has box braids that are worn in a variety of ways as well. We’re here for showcasing the many looks of natural hair.